What is an Independent Freight Agent with Trinity Logistics? What does being an Independent Freight Agent with Trinity Logistics mean? We are so glad that you asked! Trinity Logistics is a leading name in the freight broker community, and a big part of our growth is due to successful partnerships with Independent Freight Agents. An Independent Freight Agent is someone who partners with a third party logistics company and uses their brokerage license so they can arrange transportation of freight and utilize the support services of that company.  The Agent owns their own business and gets to focus on the part of the business that they do well (move freight) while Trinity Logistics, in our case, supports them through back office applications such as billing of customers, paying carriers, etc. 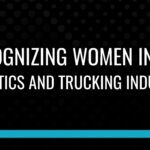 Being a Freight Agent really is the best of both worlds for an entrepreneur! 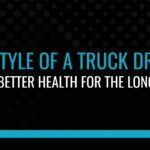 If you are a freight broker, you are certainly aware of the expenses that are associated with the business, not to mention one of your most valuable assets – your time – that often times gets overwhelmed with handling the non-revenue generating activities. 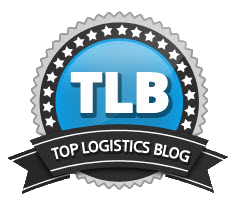 This is a primary reason freight brokers look to partner with a 3PL like Trinity Logistics. There are a number of companies that a Freight Agent could partner with, but what sets us apart from many others are all of the “extras” that come with being an Agent for Trinity. We take those “extras” very seriously! Relationships – The first one has to be the relationship! The culture of Trinity is second to none and treats team members like family and that relationship extends to the Independent Freight Agent. There is a division in our corporate office that is set up for the sole support of the Independent Agent and becomes a liaison between the Agent and Corporate Services. Because of the close relationship with that group, our company is consistently celebrating the individual successes of the Agent office, celebrating new babies and milestones in the lives of the Agents, and serving as a sounding board when an Agent just needs to talk with someone. Continuing education – From sales training and refreshers, to technology updates, and full “Boot Camp” options, we consistently offer opportunities for Agents to increase their skill set – at no charge to the Agents! Continuous improvement is one of Trinity’s Guiding Values (along with Integrity, Determination, Teamwork, Leaders, Fun, Excellence, and Legacy) and we take those values to heart with everything that we do. Each year, we also host an annual meeting open to all of Trinity’s Independent Agents, in a different area of the country. The meeting is a three-day event filled with education and networking. In 2019 we will be at a brand new resort in Orlando, Florida! 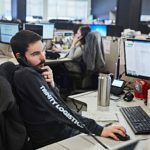 Operational Support – Part of the support that Trinity Logistics offers Independent Agents is not only administrative but operational as well. With corporate teams specializing in Less-than-Truckload, Intermodal, Warehousing, Drayage, International, and Managed Services, the Independent Agent can get the support of experts in these modes while maintaining full service to their customer. 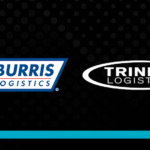 Additionally, as a company that has been an integral part of the transportation industry for 40 years, Trinity has a well-established relationship in the shipper and carrier community. Having the Trinity name behind you as a freight broker can be the difference when a shipper has a choice of where to tender their freight, not to mention the impact it has on carriers when they see multiple logistics companies with shipments that match their available equipment. Having that nationwide brand recognition and reputation gives a single-person office the power of a major player in the industry. 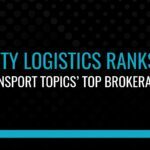 Reputation – Partnering with Trinity Logistics partners a Freight Agent with one of the Top 20 3PL’s, as named by Transport Topics. Trinity has been certified as a “Great Places to Work” for four years and you can feel that company pride any time you talk with someone at the corporate office. The biggest impact that Trinity’s reputation has for the Independent Freight Agent is the credit worthiness of the company. Trinity maintains a Five Diamond Broker rating on Internet Truckstop. Part of our entire strategic plan is to develop relationships with carriers and paying them on time is a huge part of that! The Independent Freight Agent is an integral part of Trinity’s business and we are consistently working to expand our program. If you or anyone you know are interested in more information visit our Become A Freight Agent webpage by visiting our webpage.